According to reports from Express & Star, Manchester United are currently in talks with Wolverhampton Wanderers over the transfer of young Scott McTominay. A number of youngsters impressed for Manchester United during their pre-season tour of the United States this summer but one player who managed to stand out for the Red Devils was Scott McTominay. The 20-year-old put in a number of promising performances for United in the States against some of the biggest teams in the world, despite his tender age and it is clear to see that the midfielder has a huge future ahead of him. 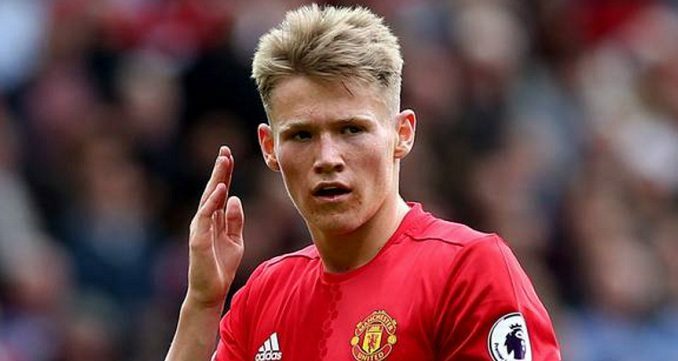 With United possessing a plethora of world-class payers in midfield, McTominay is unlikely to be handed regular minutes on the pitch at Old Trafford this season and as a result, a loan move away for the youngster has been touted. Now according to reports from the Express & Star, ambitious Championship side Wolverhampton Wanderers are looking to sign McTominay on a temporary deal till the end of the current campaign. Wolves had targeted Newcastle’s Jack Colback to strengthen their midfield but after missing out on the deal, Nuno Espirito Santo’s outfit have now focused their attention towards signing McTominay instead and he could prove to be the Championship side’s 14th summer signing.